Office hours: Monday to Friday 9 to 6pm. 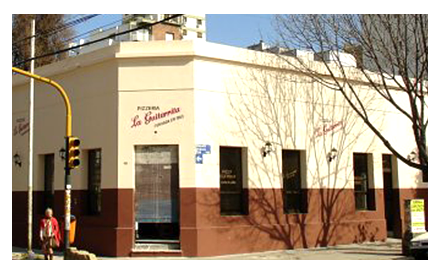 The neighborhood of Núñez is located in the north of the City of Buenos Aires and is characterized by its green spaces and sports clubs. It is an area known for its high standard of living and its old mansions, many of which have been recycled to create PH (propiedad horizontal, or condominium-style) housing, which is a current trend. If you like renting a room in an old house in a quiet neighborhood, Núñez is the best choice for you. Walking through its residential streets, you will find different restaurants that serve ethnic foods, such as Mexican food, as well as exclusive barbecue houses.On Cabildo and Libertador Avenues there are many bus lines that take you to all the areas of the capital and Greater Buenos Aires; also, Núñez has a train station on the Mitre line that runs from Retiro to Tigre. Comfortable single room with Cable TV in a calm house in Nuñez. A nice patio and a swimming pool that you are going to love! Why choose Spare Rooms BA? WE PERSONALLY CHECK EACH ROOM WE OFFER TO RENT. So you can concentrate on your studies, work and everything else you came here for. We help you find the best option. We answer your all of your questions about the city, your neighborhood and the members of your new household. Let us know by completing the form below. © 2008 - 2019 Spare rooms.